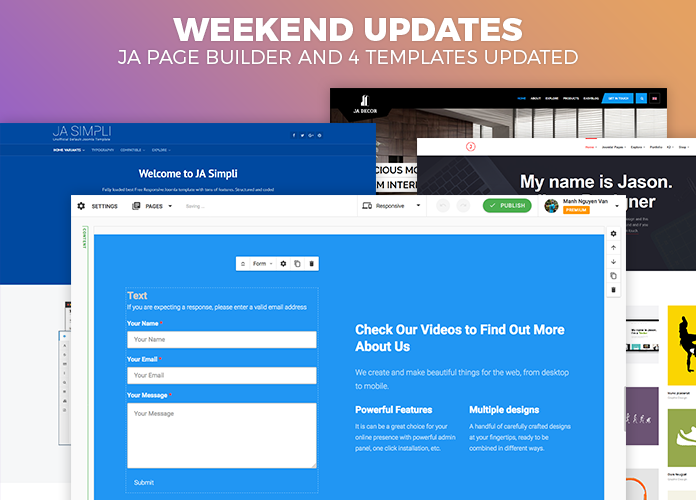 This weekend, we are releasing JA Mood template for RTL support and 14 templates quickstart re-exported for Joomla 3.7.3. 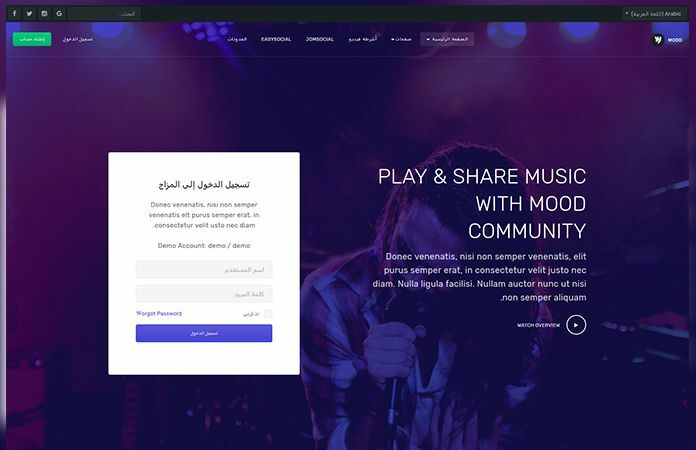 Please check the changelog below for details. 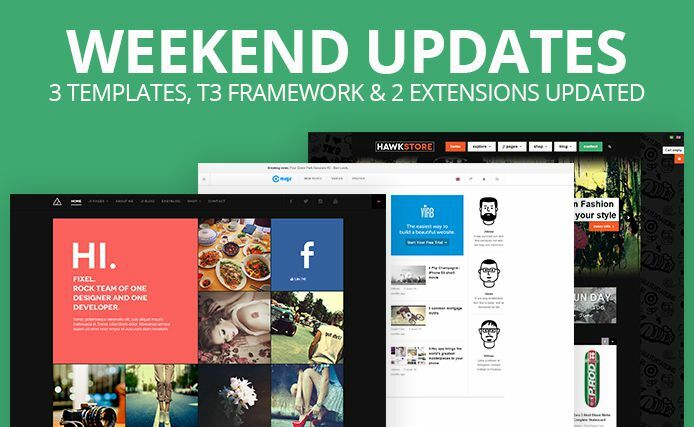 This weekend, we are releasing T3 Framework and 3 more Joomla templates updated for Joomla 3.7.2. 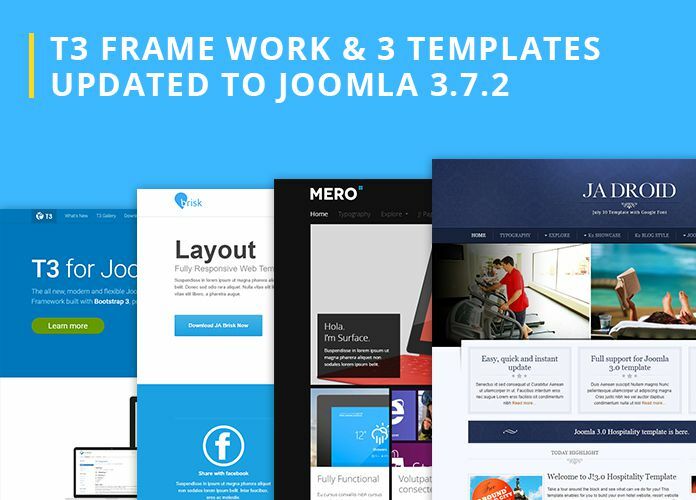 In total, we have so far released 35+ Joomla templates for Joomla 3.7.2. Please check the changelog below for details. 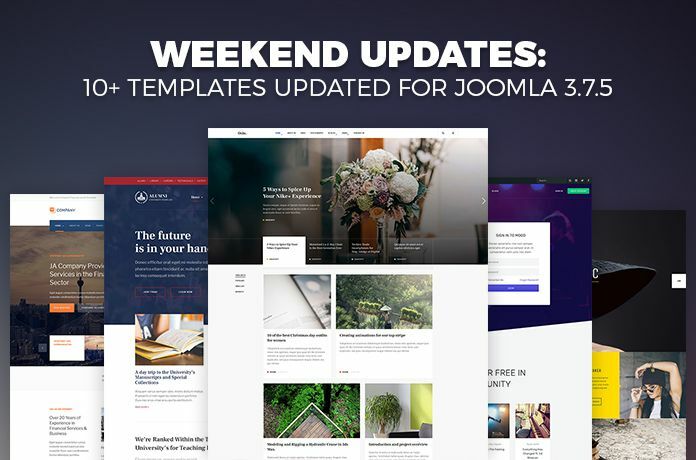 This weekend, we are releasing 4 more Joomla templates updated for Joomla 3.7.2 and JA S3 Amazon component updated for bug fixes. 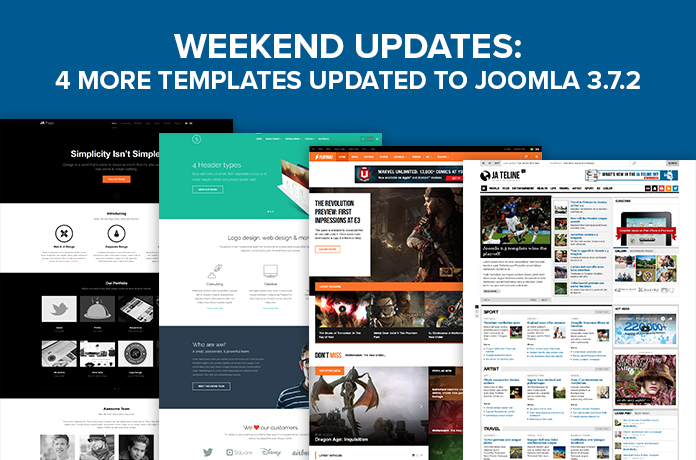 In total, we have so far released 30+ Joomla templates for Joomla 3.7. Please check the changelog below for details. 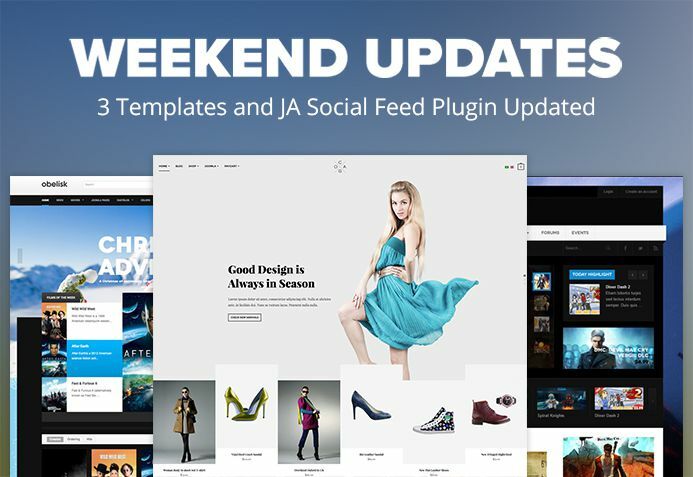 This weekend, we are releasing 4 more Joomla templates updated for Joomla 3.7.2 and JA Social Feed plugin updated for bug fixes. 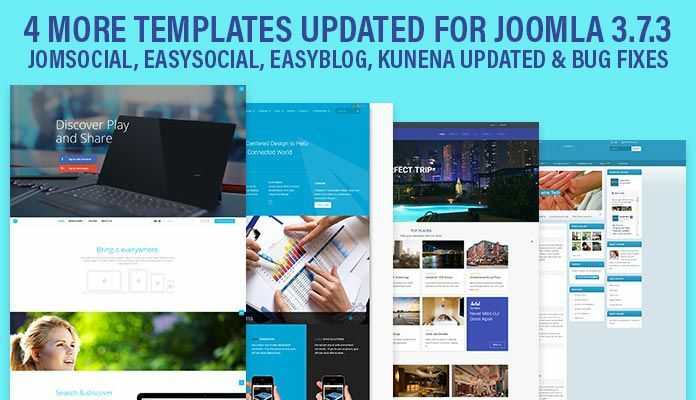 In total, we have so far released 30+ Joomla templates for Joomla 3.7. 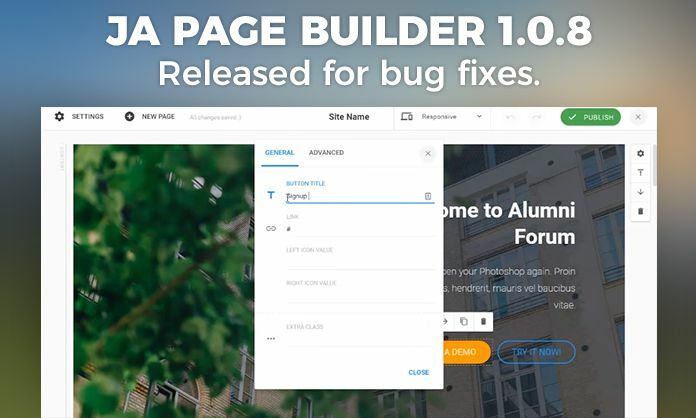 Please check the changelog below for details. 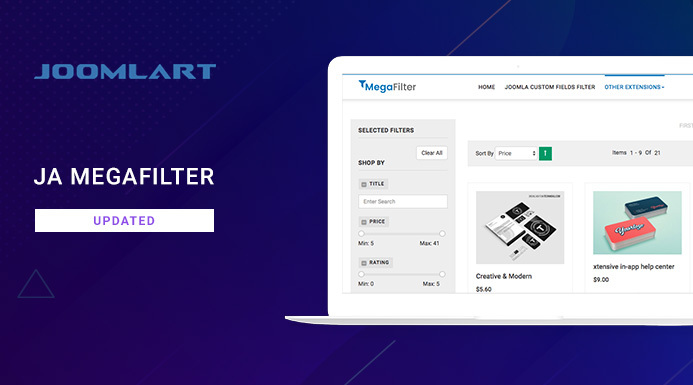 This weekend, we are releasing 7 more Joomla templates updated for Joomla 3.7.2 and JA Megafilter for com_content plugin updated for bug fixes. 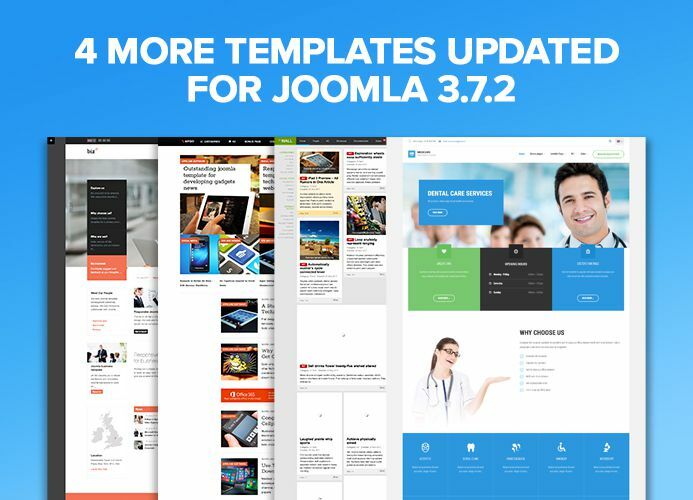 In total, we have so far released 25+ Joomla templates for Joomla 3.7. Please check the changelog below for details. 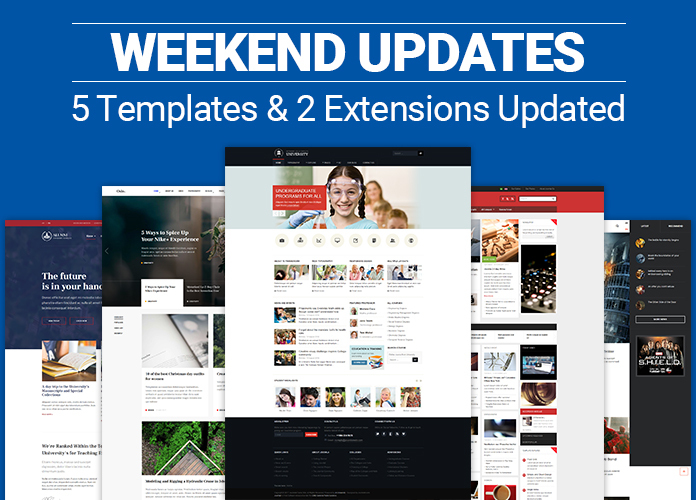 This weekend, we are releasing 5 more Joomla templates updated for Joomla 3.7.2 and 2 extensions updated: JA Content Slider module and JA News Featured Module. 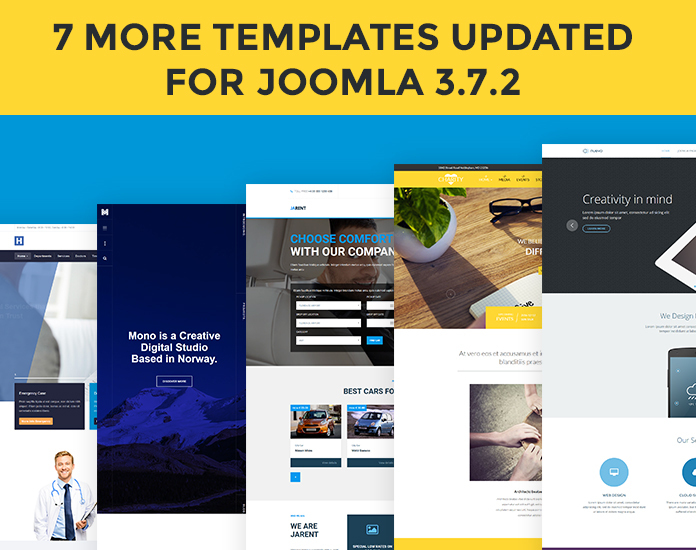 In total, we have so far released 20+ Joomla templates for Joomla 3.7. Please check the changelog below for details.